SpineNevada has the region’s only “real time” x-ray to view spinal motion like a movie — known as Vertebral Motion Analysis (VMA). 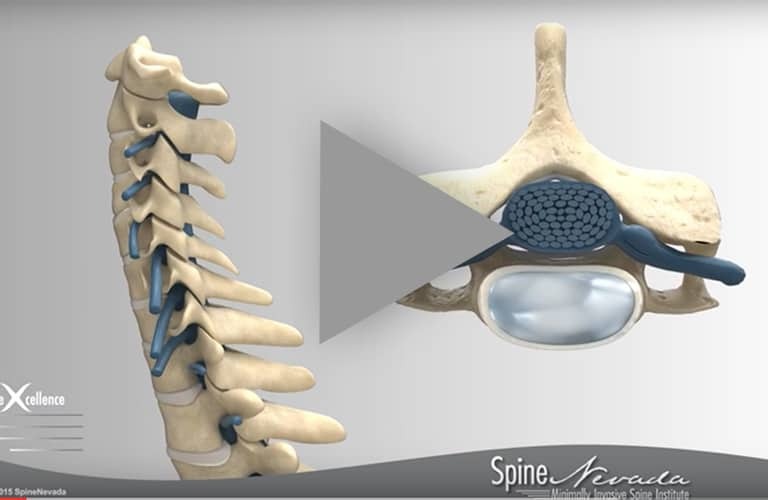 Vertebral Motion Analysis, or VMA, is an FDA-cleared system for assessing lumbar and cervical spinal motion. It is an updated method of assessing spinal motion compared to the standard flexion/extension bending x-rays that are currently used to assess spinal motion, including instability. If you were trying to capture a special moment, would you rather see a single picture frame or a movie of the special event? Until recently, spine surgeons have relied upon archaic and old-fashioned x-rays to guide their decisions on whether the patient should undergo surgery for excess movement in their spine. The forward bending (flexion) and backward bending (extension) x-ray have been the mainstay of evidence for spinal instability surgery. These are single pictures taken at one moment in time with the patient being asked to voluntarily bend past their painful point in an attempt to “catch” the bones in misalignment. Most patient’s will “cheat” and bend until they feel pain then move their hips forward or backward to finish the motion. Unfortunately, this makes it very difficult for these x-rays to “catch” the disease state and guide the surgeon. 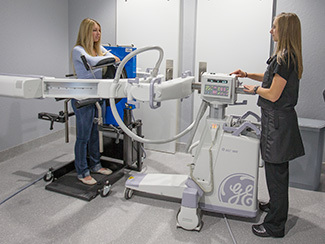 Our unique VMA imaging takes an x-ray movie of the patient while the patient is gently guided through the forward and backward bending motions by the x-ray machine itself! An advanced software analysis of the motion is then performed highlighting any levels of instability. This analysis is read by a Board Certified Diagnostic Radiologist and provided to the surgeon who can reliably make decisions about the need for surgery based on whether the spinal bones remained properly aligned with motion. 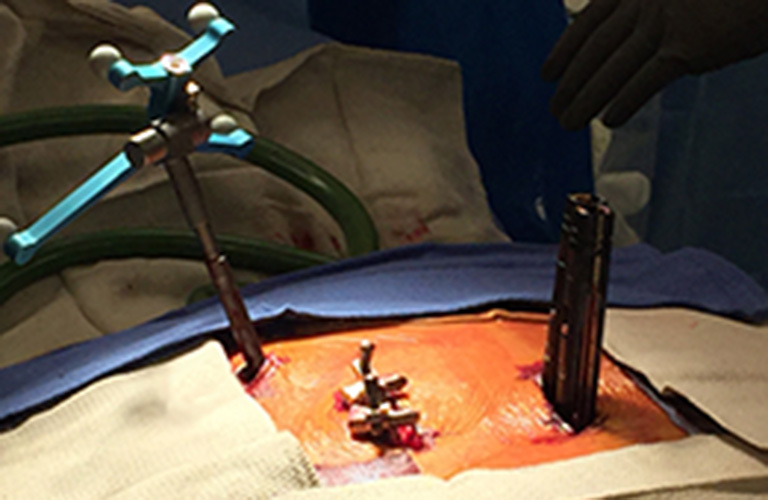 This technology has been proven to be more sensitive and reproducible in determining instability requiring surgical fusion. One of the major advantages of this technology is that the radiation dose is lower than what the patient would be exposed to with a standard six view x-ray series, which has been the standard until now. VMA represents the future of functional spine imaging. SpineNevada's InMotion Diagnostics is excited about being one of the first in the country to offer this new Spine Motion Imaging option. The VMA offers a new diagnostic tool that provides additional imaging data to surgeons, which may help him/her to locate the source of your spinal issues. The VMA motion test provides more data than ever before by taking hundreds of x-ray type pictures of your spine while you move in a gentle, controlled manner to create a video. It may provide more accurate motion measurements to help surgeons in diagnosing your unique condition, which may lead to surgeons choosing potentially helpful treatment options. 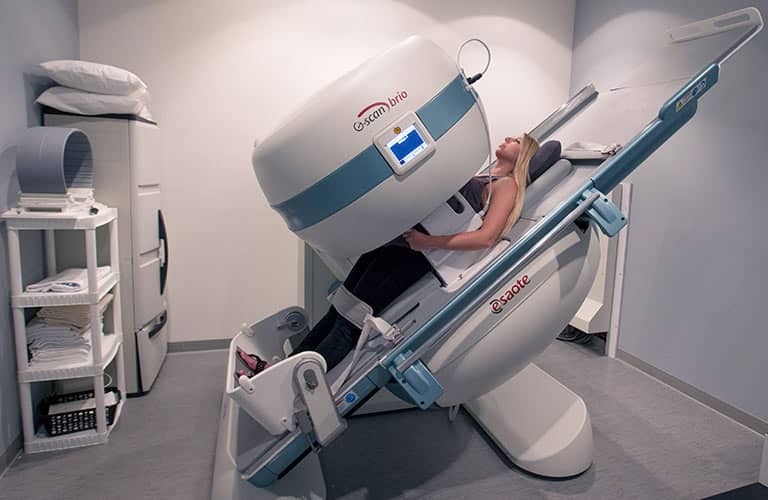 The VMA is a new test that offers doctors motion imaging technology that may pinpoint the source of your issues. The VMA, unlike a common x-ray, takes hundreds of x-ray type pictures of your spine while you move to create a video. The VMA provides more accurate motion measurements to help diagnose your unique condition. The VMA motion imaging technology is a game-changer! 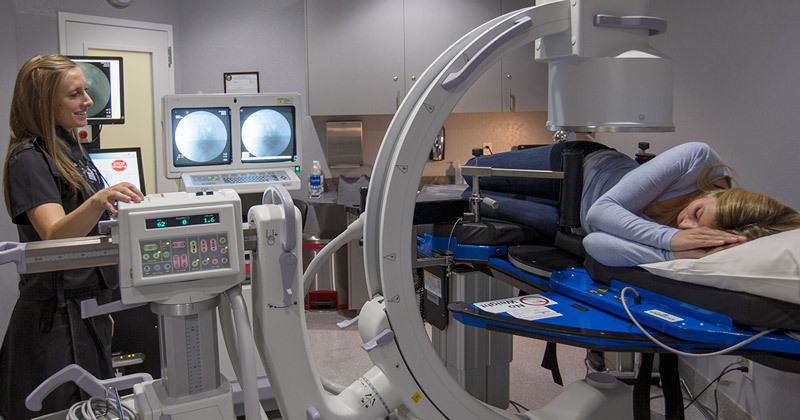 Your spine deserves the latest in imaging technology. The VMA for assessing spinal motion, stability, and sagittal alignment.